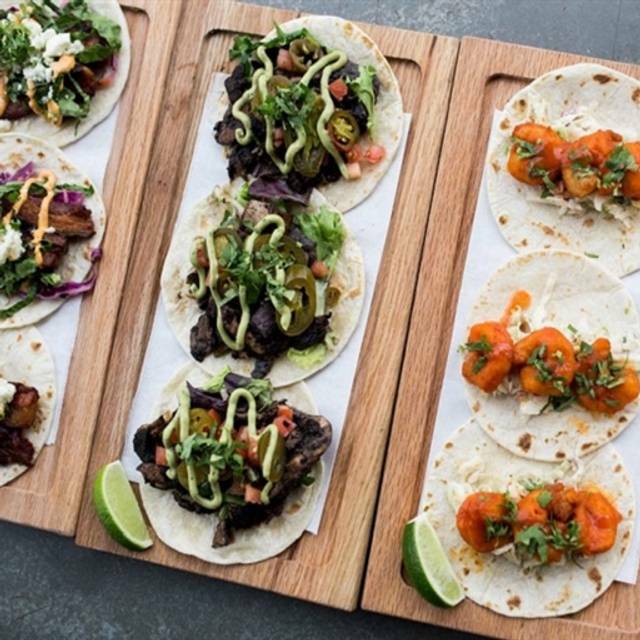 Balboa is a Mexican restaurant located in the heart of Columbus, known for it's fresh juice margaritas, giant patio, and the best tacos in town. I really wanted to like this place. Nice location and outdoor patio on busy Grandview Ave. Unfortunately, the food was super disappointing. My husband and I both ordered the chopped salad with a lime/ginger vinaigrette. It was tasteless. (we asked for extra dressing ---- that didn't help) The protein (chicken) was similarly tasteless. (no grilled taste, or even the hint of seasonings) My daughter was with the chicken tortilla soup as well. We are not food snobs at all.... but will not be returning to Balboa any time soon. This is a OUTSTANDING place. I hope our future visits are as good. Loved our time here! Gorgeous weather and patio seating on a late summer evening. Food was great! First visit to Balboa last Friday night. Food was tasteless. I cannot imagine returning. The service was great. The dining area was clean. It was a good atmosphere. I had the barbacoa bowl. It was okay. I probably won't order it again. I do plan to return to try some other menu items. Tied it. Won't go back. The server was very ambivalent and seemed bothered that we were there. The food was average. With all of the options Columbus has to offer in this space this is a failure. I had tried to go to Balboa shortly after it opened with a group of friends, but it was slammed and the wait was long. Since then I'd been hesitant to go, because I value convenience. However, this Friday I was able to get out of work a little early and managed to get a happy hour patio seat around 4:30. Let me tell you, I was hugely surprised by the quality of the food. The meat on the tacos was super high quality and they really pile it on. 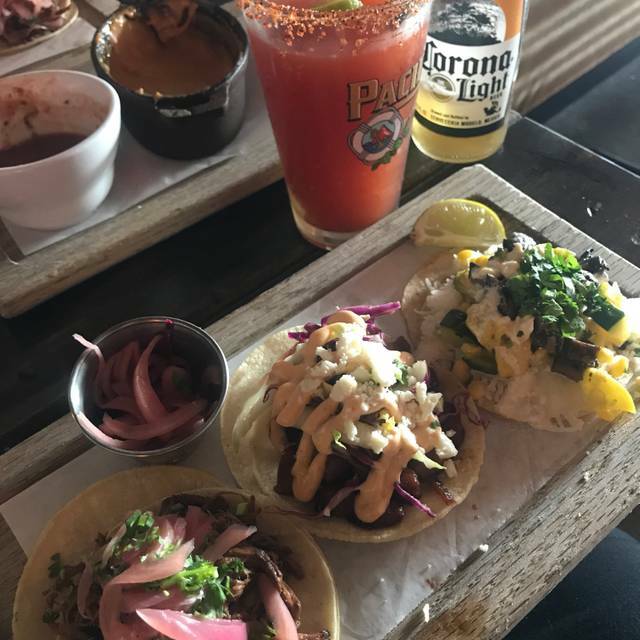 I got an order of tacos - pork belly, carnitas, and barbacoa - and I would definitely recommend all three, though the pork belly was my favorite. I thought the price was reasonable, and the service was actually excellent. We never had an empty drink :) overall would highly recommend, it's my new favorite taco place in cbus! McKenzie our server was disinterested, never came to offer refills. Stated I don't know beer so I can't help as her initial contact. Overall a long wait for food despite being there at 5:30 on a week night. Brisket tender but no flavor, desert was dry and not really edible. Shrimp enchilada was delicious though. Balboa was a nice new find and addition to Grandview. The service was terrific and we both loved the food. BTW, best margaritas I have ever had but be sure to get them on the rocks. Sat by the kitchen and was able to watch some cooking. There was a female cooking and not wearing gloves. Watched her use her bare hands to hand ready to eat food. Also watch a young male come out of the kitchen and go into the bathroom with gloves on and come back out of the bathroom still wearing the same gloves and go right back to work touching food without changing them. Told the manager and a few minutes later seen the female cook using her bare hand again touching ready to eat food. Management and staff need to learn proper hand washer and food handling procedures. This was my 5th or 6th visit to this restaurant. Wet weather prevented us from sitting on the patio which was our intention, however it did result in lower occupancy level in the dining area and a lower noise level too. As always, the food was on point, with my companions opting for taco trios and I elected to have the flautas, which were filled with carnitas on this occasion. The bar service was excellent, with our cocktails made to a high standard. The high point of the visit was the excellent service we received from our server, Carly. She was attentive and engaging and ensured we made informed selections from the menu and due to the low diner turnout because of the inclement weather, she spent extra time visiting with us and made the evening much more enjoyable as a result. Unfortunately, she will be departing the area soon to attend graduate school, but we wish her well in her future endeavors. Hopefully Balboa can find more servers like her. Service was really great. The pork belly tacos were amazing. A fun place with great cocktails and good food. The music was a bit too loud, but some people like that more than I do. Worth a try if you haven't been. 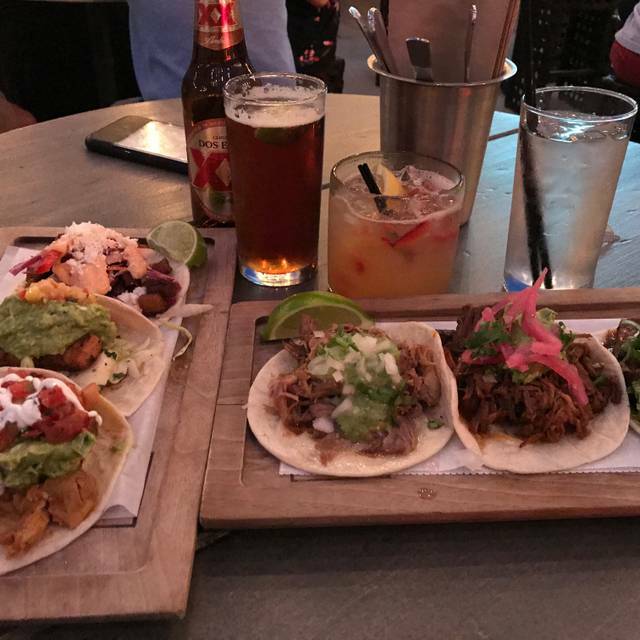 Excellent drinks, Great patio, Average food. I got the chicken enchiladas, which came with black beans and rice. It was well plated and looked far better than it tasted. The meal was not particularly authentic in taste nor adequately seasoned. That is not to say that it was awful either - I did eat it all. The server was friendly but not very attentive. We've been to Balboa twice, and both times have been good dining experiences. The food was fresh and delicious, and the pitcher of margaritas was the perfect touch. Being able to eat on the patio made it all the better. Balboa is a favorite spot in Columbus. Great outdoor seating area and relaxing environment. Three of us enjoyed a pitcher of Sangria and various bowls. Too many chips. Very attentive service. Great food, great service. Not cheap, but you get what you pay for! It took forever for someone to take our order, then took just as long for our drinks and food to come out. We weren’t in a rush, but it was a lot longer than a usual wait. Great food, service and environment as always! This place has amazing food. However the service is a mess. Not once did our waiter bother to take things from our table. And we skipped out on dessert in order not to deal with him. The food was amazing, but the service wasn’t great, rather very inattentive. And the noise level was way too loud to have a basic conversation. It was my first visit. I can't wait to go back! Best chips, salsa and queso! Food was great, atmosphere was lovely, waitress was nice but somewhat abrupt. Definitely a nice night out. We’re from Texas and have enjoyed Cali-Mex and Tex-Mex all of our lives so maybe we had pretty high expectations going into the restaurant. The chips themselves were off the hook good, fresh, crispy, and warm! The Guacamole was fresh and delish! The barbacoa was fantastic and flavorful! Where were the rest of the spices? The onions pickled with habanero had zero heat. Maybe it’s time to put a fresh habanero in the pickle jar. Go crazy, put 2. The house salsa tasted like watered down soup. The queso tasted like warmed velveeta with no rotel. The chicken tingas had no ting. We both left it on the table. The margaritas were tasty and I know there had to be tequila somewhere in the room, I just don’t think it made it into the drinks. If you like cilantro, which my wife does, you won’t mind. If you don’t care for it, stay away. The house Margarita is amazing. Everything that I have had on the menu was delicious. Food was great! Service was fair. It was not very busy on the Sunday we went for brunch and there appeared to be sufficient staffing but they were slow. Was still a good experience and would give it another try. Great little place! Used to be a good sushi spot, now transformed into a southwestern/Tex-mex restaurant. Very reasonably priced, decent selection and excellent service. Excellent cocktails as well! I’m sure we will be back very soon! My friends and I got together to celebrate my birthday at Balboa. It was an amazing time! Good food and great service! Our waitress went out of her way to make sure we had everything we needed! Couldn’t ask for better service.